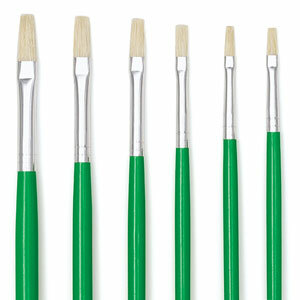 Seamless polished aluminum ferrules and long, natural wooden handles with green gloss finish. 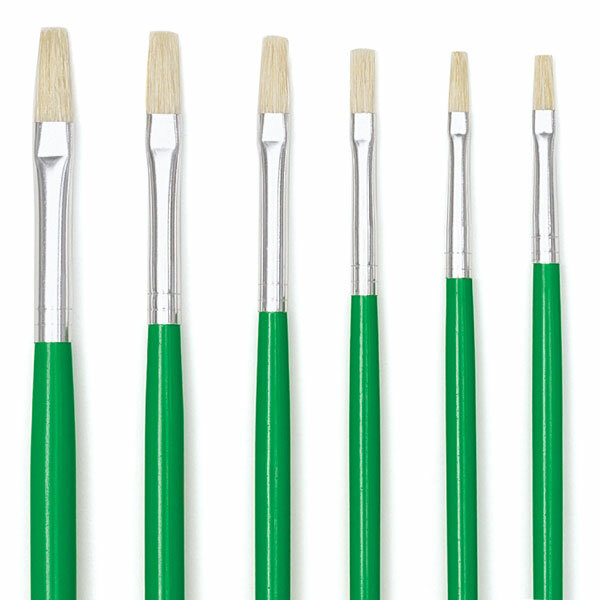 Flat, Set of 6 — Save on a set of 6 brushes in a given shape. Each set contains one each of sizes 0, 1, 2, 4, 6, and 8 at a substantial savings over the price if purchased individually.